After a great racing career, Tiger Walk was adopted by his breeder! She always loved him, and we couldn’t be happier for him to get to spend the rest of his life with her. 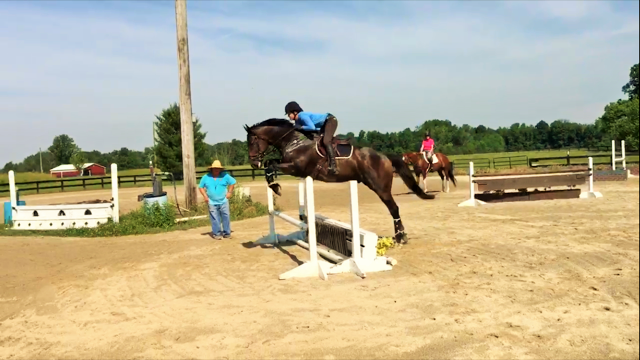 He is doing well retraining as a jumper and is enjoying life as a retired racehorse and beloved pet. They are having a blast together! Tiger Walk by Tale of the Cat out of Majestic Trail ran well in multiple graded stakes races including the Grade 3 Withers Stakes, Grade 3 Gotham Stakes, and Grade 1 Resorts World Casino New York City Wood Memorial Stakes. In 2012, he also became the first Sagamore Racing horse since Native Dancer to enter the Grade 1 Preakness Stakes.